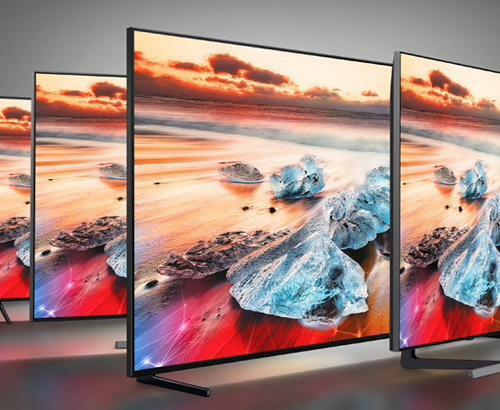 The Samsung QE82Q70R 82 inch QLED TV features their third generation QLED screen. Direct Full Array Plus LED illumination and a PQI 3300 (Picture Quality Index). In addition, this TV is powered by Samsungs all new Quantum Processor 4K supporting both HDR 1000 & HDR10+ Standards. 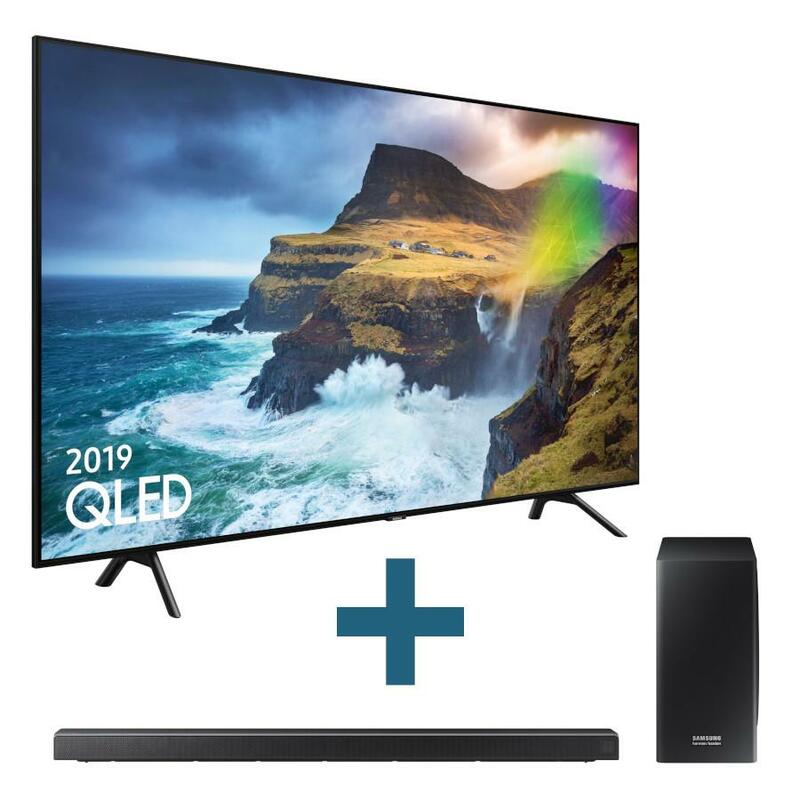 Samsung's QE82Q70R is part of the Popular QLED range of TVs from Samsung. We offer an industry leading 5 year guarantee with this TV. Samsung also offer a complimentary 10 year screen burn warranty. Click here to register. The Samsung QE82Q70R QLED HDR 4K TV is Samsung's third generation 4K HDR QLED television. Bringing all new Quantum Processor 4K to provide not only the ever popular Tizan smart platform but also one of the smartest picture processing engines to date. The Quantum Processor 4K features AI Upscaling by taking any content on the screen and enhancing the detail close to that of true 4K, anything from a standard definition to a Full HD source. This is achieved by analysing the information per pixel and using pre-defined algorithms to improve the detail. This is improved even further by AI (Artificial intelligence) where Samsung constantly tests and improves on the algorithms used to enhance the detail of sub 4K quality in the cloud. By comparing a 4K reference image to a lower quality test image after the enhancement the Artificial intelligence can determine if the algorithm was successful. The benefit of this is when a more successful method is found this can be pushed to your TV via an update seamlessly meaning the upscaling is only going to get better. The design of the Samsung QE82Q70R HDR 4K TV is focused on the premium and luxury. Featuring a 4 way bezel-less design to give the most immersive experience possible. Sitting this television on pedestal stand reveals a beautiful crafted minimalistic design with the front of the stand barely being noticeable to help keep you more immersed in the stunning image quality this TV has to offer. Also with Samsungs ambient mode the TV is less of a distraction when not in use, you can opt for a design that blends the TV into the background either matching your wallpaper of choosing from a preset design. You can even add additional information such as time or weather to the ambient mode. It certainly beats a black rectangle. 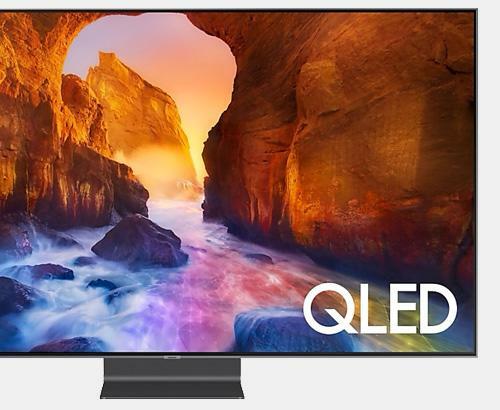 This QLED television features Quantum Dot picture technology coupled with Q Colour. 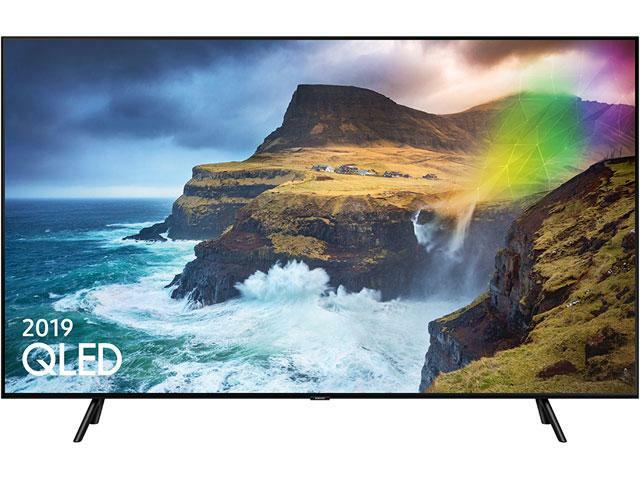 This takes colour reproduction on this QLED HDR 4K TV to a whole new level providing new colour permutations that deliver a breathtaking picture. Q HDR 1000 aims to deliver excellent colour detail possible allowing more colour information to be shown on the screen. This greater contrast delivers stunning detail in both light and dark scenes. Direct Full Array independently controls the light level of multiple zones on the screen providing better contrast and a greater level of detail which is hard to achieve on standard LED Screens. This results in greater detail in dark scenes and greater vibrancy in colours. Everything that is fed to the television is independently analysed and up-scaled to near 4K HDR resolution with the help of the Quantum Processor 4K. 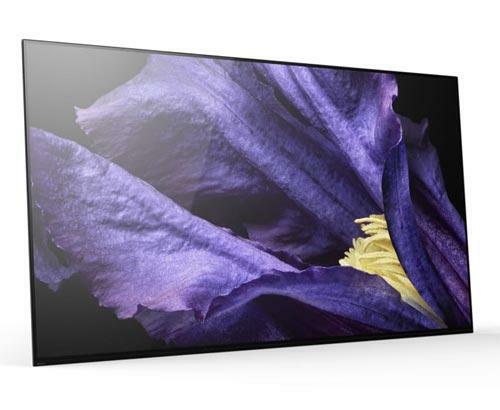 The Samsung QE82Q70R features Samsungs third generation QLED Panel, the latest and best LED produced yet from Samsung. As we are a Samsung Blue Ribbon Retailer we can offer you the best advice, installation and after care service than national retailers. Our installation service covers the whole of Greater Manchester and also many parts of Lancashire. Our prices are constantly monitored to ensure that we are as competitive as national retailers. This Samsung QE82Q70RATXXU is also available with a bespoke white glove delivery and installation service. Are you looking to have this 4K HDR TV wall mounted? Then why not speak to a member of our team on our live chat service or in store. As a leading specialist in wall mounting 4K HDR TVs will we will be advise the most suitable location and competitive prices.